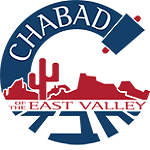 Welcome to the Chandler Jewish Preschool! We are pleased that you have chosen our school as a home away from home for your child. Here at Chandler Jewish Preschool we are committed to creating a warm, friendly and happy environment for your child, while assisting your child in developing a strong positive awareness of his/her Jewish identity. In addition to Judaic themes and holidays, the curriculum at the Chandler Jewish Preschool will expose children to a wide range of experiences (including art, music and movement, pre-reading & writing skills and early math skills) all integrated in our hands-on learning approach. Chandler Jewish Preschool is committed to excellence in all areas. Our caring educators, will shower each child with love and affection. We offer a creative Jewish learning atmosphere where your child's individual style of learning will be valued and nurtured. We will encourage your child to explore the world, to learn to be part of a group and to solve problems in a constructive manner. To help you and your child get ready for preschool, please take the time to carefully read this handbook, as it has important information and answers to common questions. We look forward to a fully cooperative learning experience and a very successful school year.